Download a Free PSD + HTML Responsive Email Template! 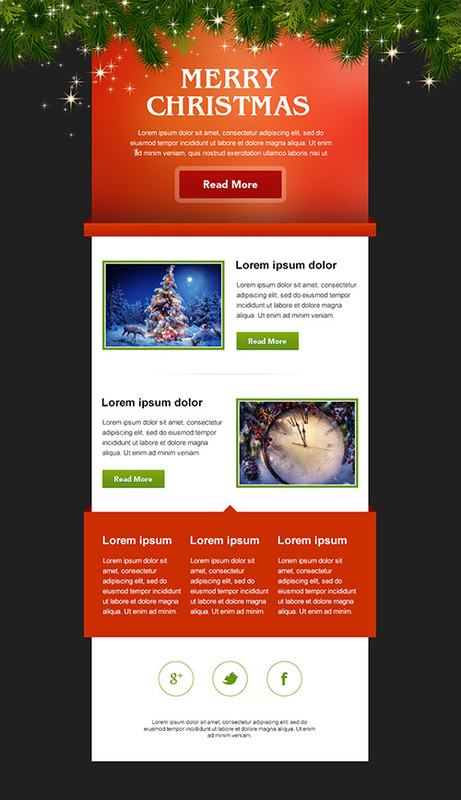 In the spirit of the holidays we’re giving our customers and blog readers a free holiday email template. It’s a responsive email template in a fully editable PSD format, with the full HTML markup included, hand-coded by our own Site Slinger team. It’s available for free download for your personal or commercial use. Edit away and have your mobile-optimized email template ready to go for your next email campaign. Great for advertising your holiday news or sales! As the winter holidays are already upon us, you’re probably gearing up for those Christmas sales and other holiday events. Whether you are in marketing, event planning, or just need to send out a mobile-optimized email to your mailing list, we’ve got you covered with this free responsive email template. We’ve designed a great looking email ready for viewing on all major devices and email clients, including iOS, Outlook, and Gmail. This email template was designed and hand-coded by experts to ensure a great mobile experience, along with full desktop viewing. Now days, more than half of emails are opened on mobile devices! It’s imperative your email reaches your audience when it’s convenient for them to view and act on it… without compromising the desktop aesthetics. We’ve put great effort into ensuring the email elements are mobile-optimized and appropriate for this holiday season. We hope you’ll enjoy editing and using this free responsive email template, shared as a fully editable PSD and provided with hand-coded HTML – by our web development experts. If you need other PSD email designs converted to code, we can help! We’re experts at PSD to HTML, whether for emails or websites! Get your free holiday email template today!